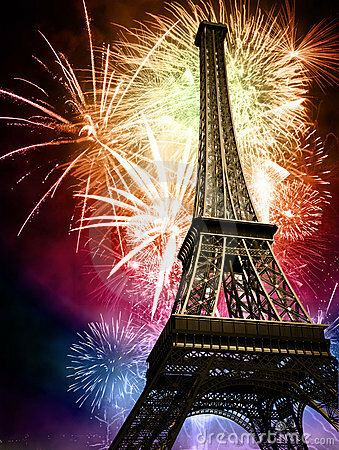 stock image of illustration,card,banner or poster for the French National Day.Happy Bastille Day. stock image of Travel and tourism. Vector background with World Architectural Sights and fireworks. stock image of Bastille day badges. Eiffel tower and fireworks. stock image of Travel to France. Time to Travel. Banner with airplane and hand-draw doodles on the background. Vector Illustration.